In the Asia Digital Society Forum 2018, Japanese experts stated that the trend of a digital society is forming and quickly developing all over the world, including in Vietnam. The Asia Digital Society Forum 2018 took place on January 23 in Hanoi, attracting many experts from both Vietnam and Japan. Mr. Yasuhiro Kawai from Nikkei Inc. (Japan) shared that Vietnam, similar to other neighboring countries in Southeast Asia, is urbanizing, and thus facing with infamous issues like traffic congestions, low-level infrastructure, and insufficient energy supply. The forum would be an opportunity for Vietnamese businesses to update feasible solutions to address these urgent problems. Being more experienced in the field, the Japanese professionals enthusiastically provided their counterparts with effective and realistic answers to help Vietnamese enterprises raise their own awareness on strategies as well as designs for a more sustainable city with more facilities and technologies related to intelligent plants, power grids, and city. 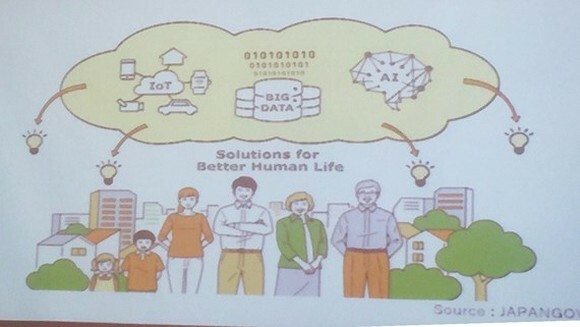 With these solutions, the participants in the forum hoped that the implementation of digital technologies will have a comprehensive effect on various fields like agriculture, construction, finance, health in order to boost the living standards of Vietnamese citizens and contribute to turning the vision of an intelligent city into reality.